S, M ,XL and L.
Lace front, silk cap, thin skin around perimeter etc. As our design or arrange as the custom demand picture style. ** Brush hair daily and frequestly using a good quality detangling brush, brush hair starting from the bottom and work your way up gradually to the top. ** Wash hair using detangling shampoo and conditioner. 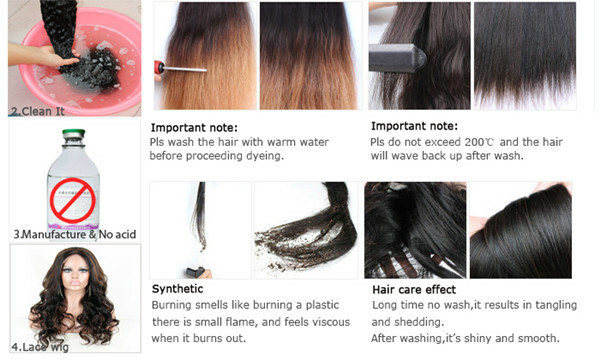 ** Do not use any grease, oil, oil spray/sheen to the hair. ** To maintain hair shine or lustre, use SERUM (protects hair from the enviroment, any hair loss and does not weigh the hair down). ** When weaving, do not sew on the weft – always sew under weft. 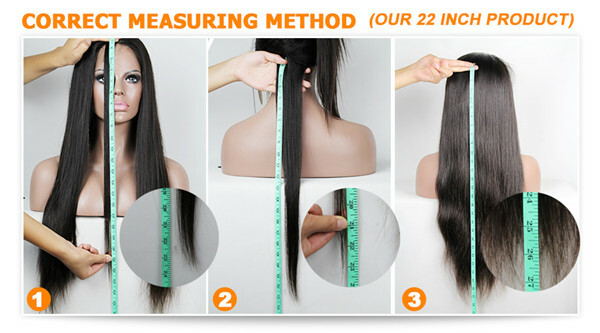 ** when removing the weave do NOT cut the weft of the hair. ** you can colour hair. ** You must set hair by professional stylist. ** you can starighten hair with blow dryer and flat iron. 1)If the item is defective,you must contact us within 1 days after received,seller will be responsilble for the shipping cost.We will not accpet it ove 1 days. 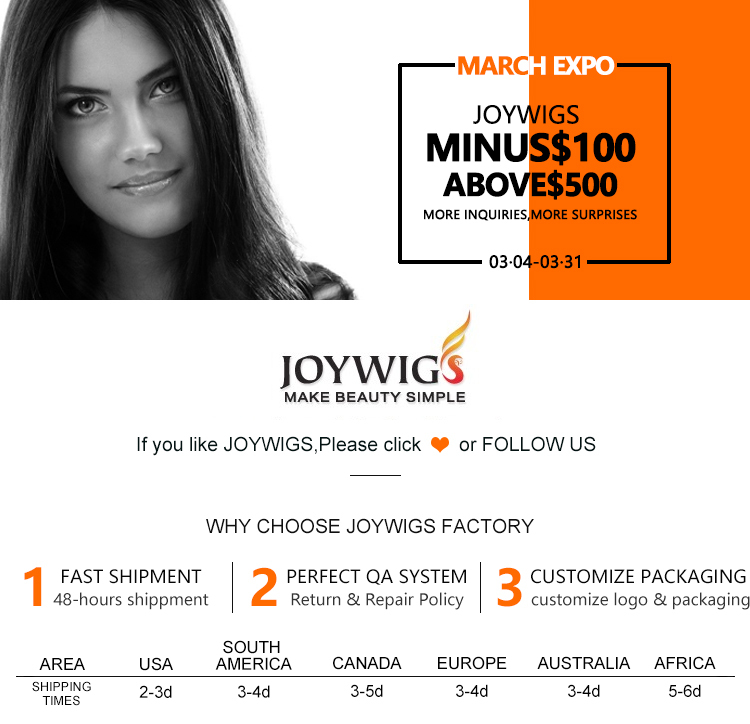 2)For hair weaves and closures,if you are not satisfied withj the product,please turn it within 7 working days for a replacement or refund.Please contact our customer service team before return it.The shiping and handling charge is not refundable and customer should be responsilble for all the charges of returning an reshipping.All returned items must customers before start to proess,once the order is confirmed,the order can not be stopped during the process even the order is not shipped,the refund will not be given.The order can not be returned for refund or exchanged if the hair is not defective when it is received as the order is customized for all personal requuirements. 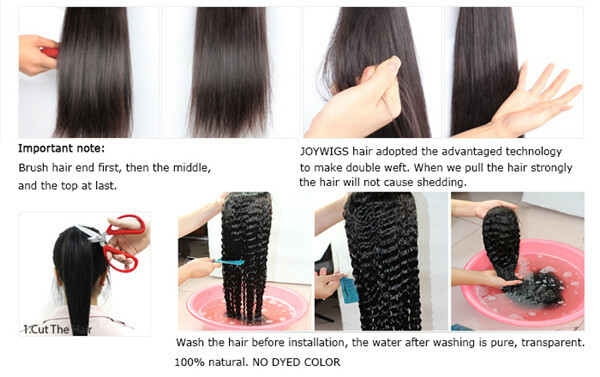 The reasons DO NOT like it or wrong hair color,cap size.length are etc are not acceptable. 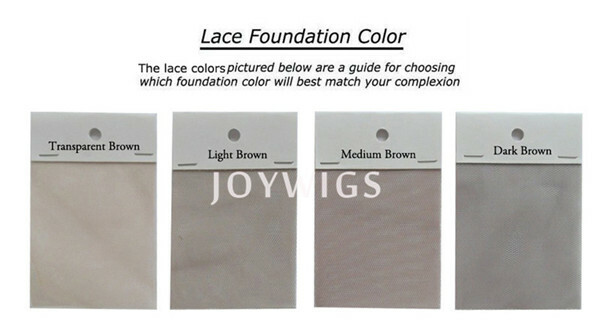 1)What is the difference between a lace front and a full lace wig? 2)Can I go swimming or can i get the wig wet? YES. Wearing a lace wig is just like wearing your regular hair so you can do all normal activities with it on such as swimming, showering, sweating, Sleeping etc. No one will know (unless you tell them) that it is not your own natural hair. The only time that 's recommended not to get the wig wet is the first 24 hours after applying the adhesive. There are also special water proof adhesives that canbe used to apply the lace wig. 3)Will a lace wig damage my hairline ? No. 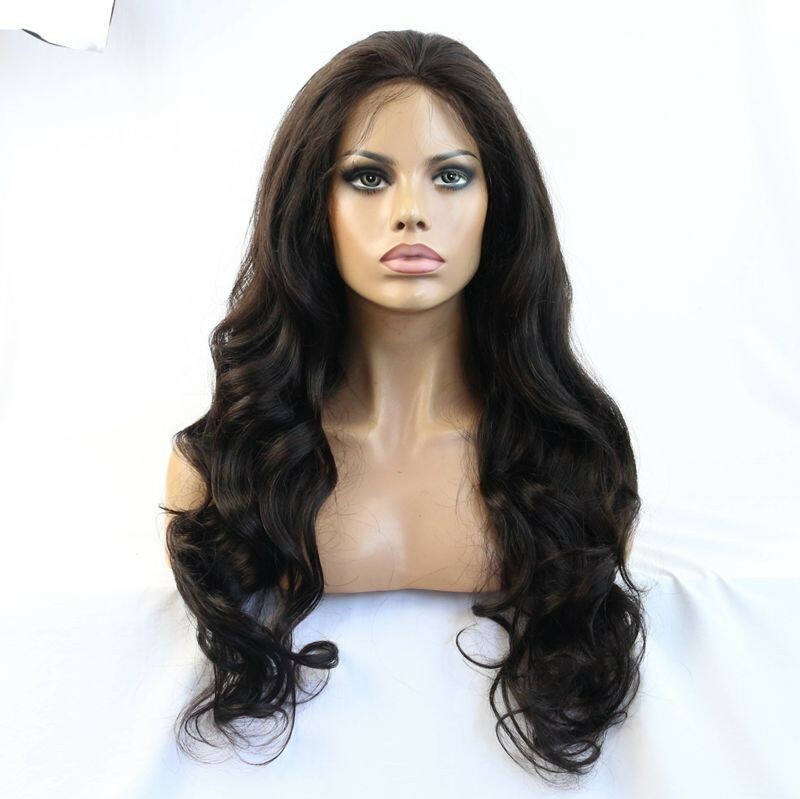 A Lace wig that is properly applied will not damage your hairline. Can I style my lace wig myself ? 4)How long does it last? 5)Can I part my wig anywhere? 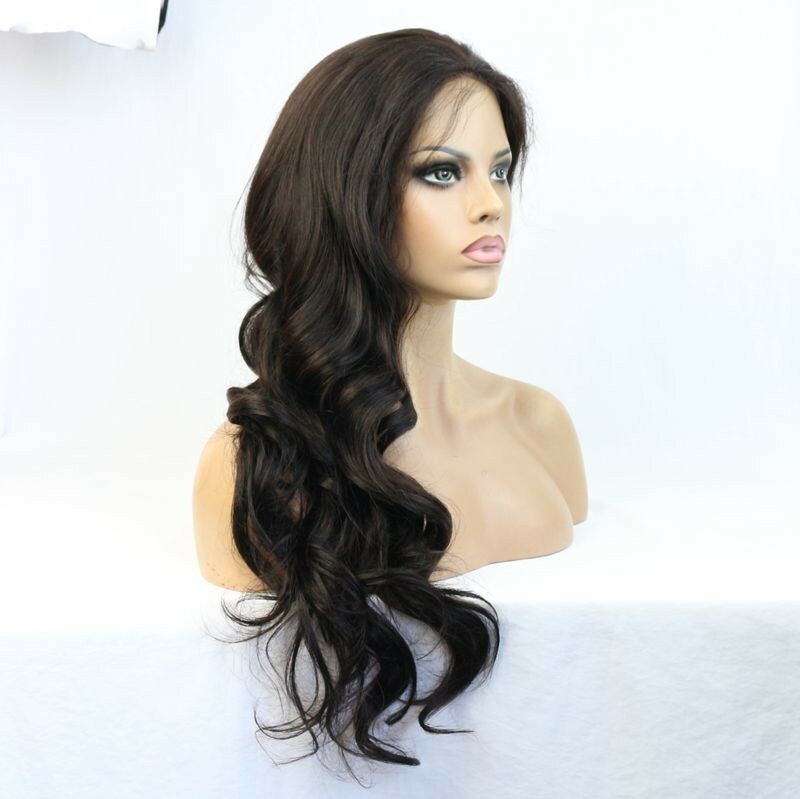 ALL FULL LACE front wigs CAN be parted anywhere - Center, Left, Right, Middle, Back Etc.. LACE FRONT Wigs can be parted only in the Lace Front Area. 6)Can I style a lace wig myself? YES. 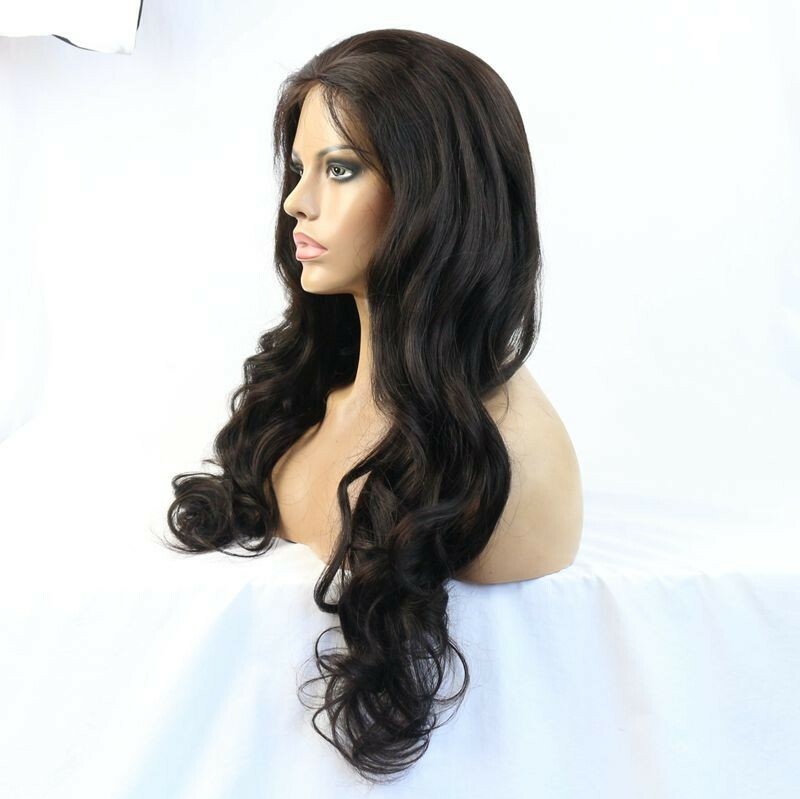 Indian Remy Hair is Human Hair front lace wig and can be styled just like your own hair. You can set it, blow has no water it, hot curl it, Flat iron it etc. 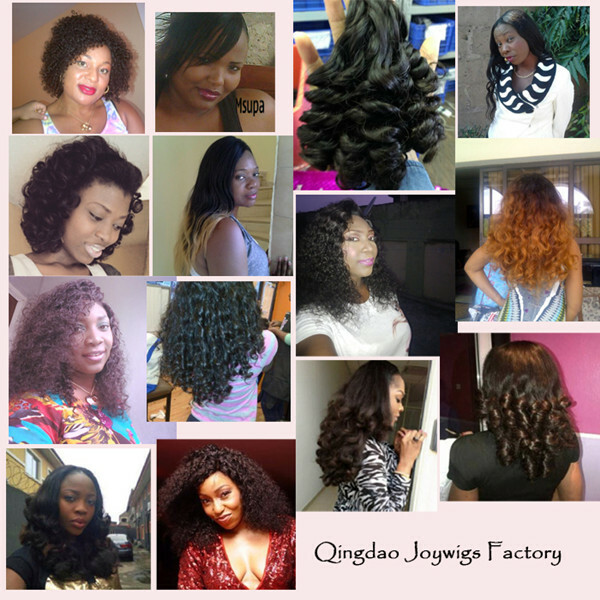 7)Do we accept returns for lace wigs? Yes, we accept returns as long as we are notified as soon as item is received. The item has to be returned in the exact same New Condition that it was received in. There can be no alterations or changes made to the wigs, lace has to be uncut and the wigs must not have been worn. We cannot accept back wigs that has been altered in any way or that has been worn by the buyer. Items has to be returned to us within 3 days after contacting us. Buyer is responsible for shipping item safely back to us. Please read our store policy for full return policy information. if you have any questions , Please Feel free to contact us.